Amidst preparing for his political journey, which commences on 21 February, and chalking out a release plan for the long-in-the-making espionage thriller Vishwaroopam 2, Kamal Haasan has announced an exciting yet-untitled project.The film will bring together Chiyaan Vikram and Haasan's daughter Akshara Haasan, who was last seen in Ajith's action thriller Vivegam, for the first time on screen. The movie will be directed by Thoongavanam helmer Rajesh M Selva, a long-standing associate of Kamal Haasan. Kamal Haasan's home banner Raaj Kamal Films International and popular distributor Ravindran's Trident Arts (who has had a prosperous 2017 by presenting films such as Vikram Vedha, Aramm, and Aval) will jointly produce the film which marks Vikram's 56th project. 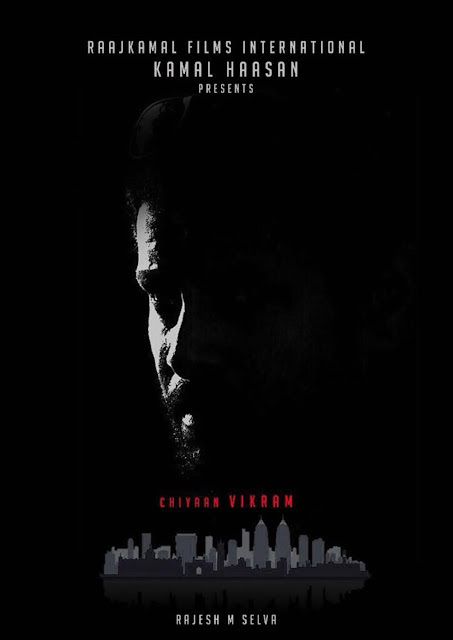 Last year, there were reports that Vikram and his Iru Mugan director Anand Shankar could join hands again for the remake of Hollywood thriller Don't Breathe, produced by Studio Green. However, the project did not materialise since Studio Green could not clinch a viable deal with the makers of Don't Breathe, who had reportedly quoted an exorbitant fee for the remake rights. Now, rumors have already started floating around that the Vikram-Rajesh Selva film could be a remake of Don't Breathe. However, Firstpost has got in touch with the team and learnt that it is not a remake. "The film is definitely not a remake of Don't Breathe. In fact, it's not a remake of any movie. It's a completely original script. Vikram has just signed the project. Other details regarding the film will be announced after a few weeks," the source said. The movie will have music composed by Ghibran, who will continue his fruitful association with Kamal Haasan and Raaj Kamal Films International after a string of previously successful films. It must be noted that Ghibran and Kamal Haasan have produced fantastic soundtracks in Uttama Villain,Papanasam and Thoongavanam. Ghibran is currently waiting for the release of Haasan's long-awaited Vishwaroopam 2, which is in the final stages of post-production. Kunal Rajan, another Kamal Haasan regular, will work on the film's sound design. Vikram, who has had only two releases — Iru Mugan and Sketch — in the last 16 months, is all set for a promising 2018 with an excellent line-up of projects up his sleeve. He is currently shooting for director Hari's Saamy Square, which is already halfway through, and Gautham Menon's Dhruva Natchathiram, which is on the brink of completion. Vikram will start shooting for Rajesh Selva's film in March or April after completing his ongoing commitments and before he moves on to the Rs 300 crore magnum opus Mahavir Karna, which was announced a few days ago. While Vikram's Saamy Square, where he is paired opposite Keerthy Suresh, is slated for a Ramzan release on 14 June, Dhruva Natchathiram, where he co-stars with Ritu Varma and Aishwarya Rajesh, is targeting a mid-August release around the Independence Day weekend. The shooting of Mahavir Karna, directed by Ennu Ninte Moideen fame director RS Vimal and produced the New York based company United Film Kingdom, will kickstart in October. Vikram is expected to complete the shooting of the Rajesh Selva film before he commences work on Mahavir Karna, which is being planned as a mega multi-lingual project with actors from across all industries. Sources say the makers of Mahavir Karna are also in talks with a few international actors to rope in for the film. Preparations for a grand launch event is already underway to officially announce the movie in Mumbai in February.